ME IP display, official blacked out C8 emblem and also gauge cluster initiation GIF. Driver’s IP is probably around 12” wide — though what we are seeing below is the C7’s IP cluster. Thanks to GM-trucks.com for all this information! Last edited by John; 02-08-2019, 02:09 PM. Chrome C8 emblem integrated here so all in one place. ME IP display, official blacked out C8 emblem and also gauge cluster initiation GIF. Driver’s IP is a full 12” wide. Thanks to GM-trucks.com. That looks fairly interesting but not radical. Looks like a vent at the back of the frunk. Analysis thanks to “Jeff V”:Here's a little bit of tech talk. The C7 cluster images were 800x480, which is a 4:3 aspect ratio. Assuming the truck site hasn't messed with the file too much, the C8 graphic is 1280x768, or 5:3 aspect ratio. So we can infer the C8 LCD will be wider than the C7. But it doesn't seem wide enough for an all-digital dash. I'm still not convinced this is for the cluster at all. I think it's from the infotainment system. That'd explain how they got it early, since those files would be shared with something like the new XT4. Ubless they have really messed with it how could it be infotainment screen with steering wheel in foreground? 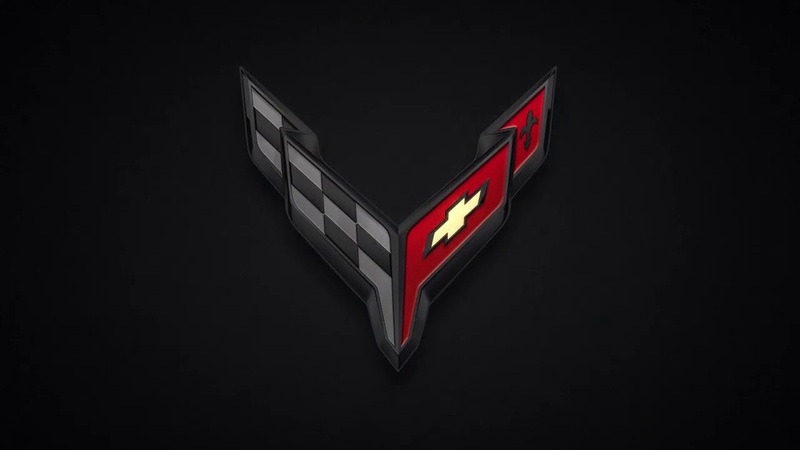 New Corvette “scrip”t” that we will see, among many places, on the rear fascia. It was hard for me to tell the difference, but thanks to Tool Hoarder, next post, we have it all captured. C4-C8 script difference thanks to Tool Hoarder! I made this quickly comparing C4 through C8 scripts. It looks like the C5 script with a different R and split up Ts and the center bar of the Es touch as in a solid letter vs. the C5. Cleaning the lettering on the rear fascia is going to be a *****. That's because that is the C7 gauge cluster. The article was just using it is a reference to state that the screen could be bigger. Last edited by makav; 02-07-2019, 09:41 AM. I agree, that's the cluster from a C7. John, can you give more details about the driver's IP being 12" wide? If you take the pocket side gauges on the C7, and integrate them intoone digital gauge, would not get us to around 12” (my car is not here so I can not go out and measure)? That makes sense, I thought you had some inside information on the new dash layout. Are we sure they are doing away with the pocket gauges? I wish I had some GM info. Little birdies are whispering, but even they are acknowledging that they might not be getting full and accurate information. This is so different from the C7 pre-reveal process, when so much was shared so freely (and it turned out to be completely accurate when reveal confirmed). that is why I debadge my cars..smooth and streamlined with no dirt grief..!